The proposed site for what could be one of the largest gold mines in the world: the Donlin mine. Governor Bill Walker made headlines this past weekend after he requested that the Army Corps of Engineers suspend the Environmental Impact Statement for the controversial Pebble mine in Bristol Bay. But Walker, who is running for re-election as an Independent, and three other top gubernatorial candidates have pledged support for the Donlin mine, which would be the one of the biggest gold mines in the world. Walker says that Donlin, so far, appears to be following the rules of regulatory process. "I have to have a pretty strong reason to not support something, and so I'm still looking at that, but what I know of it, I’m comfortable with," Walker said. 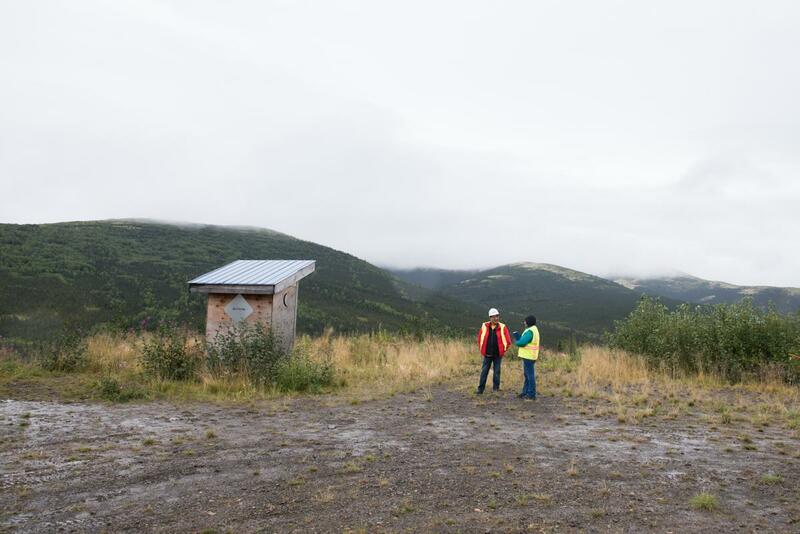 His competitors tout other benefits of the Donlin mine. Former Lieutenant Governor Mead Treadwell is running as a Republican. Treadwell praises Donlin’s promise to bring more jobs to the Y-K Delta. "There are mines around the state that employ a lot of people, and it’s one of the most important things we can do for regional development," Treadwell said. The project also proposes a 315 mile long gas pipeline from Cook Inlet to fuel the mine’s operations and power demands. Former Alaska Sen. Mike Dunleavy, who is running as a Republican and will face Treadwell in the GOP primary in August, says that the pipeline is a huge energy opportunity for the Y-K Delta and the state. "A lot of spin-off industries will benefit from it in the Y-K Delta and Southcentral Alaska, so I think it’s a huge opportunity for Alaska," Dunleavy said. Former U.S. Sen. Mark Begich, who is seeking the Democratic nomination in the primary, has voiced support for Donlin for years and believes that the project on Native Corporation land can coexist with the subsistence lifestyle in Western Alaska. “They’ve understood the value of fishing, and they understand the importance of it to subsistence lifestyle," Begich said. The Donlin mine would increase barge traffic on the Kuskokwim River, the food source for many residents in the Y-K Delta. It will also require large treatment facilities for mercury and cyanide coming from the rocks in the area and mining operations. Donlin has already received a water permit from the state to discharge wastewater into Crooked Creek, which drains into the Kuskokwim River. People living in the Y-K Delta are also worried about what happens after the mine stops producing. The site would have to be monitored in perpetuity, which means forever, once it ceases operations. Governor Walker says that he doesn’t see the state relaxing monitoring enforcement, even with the budget crunch over the last couple of years. He's confident that the state can adequately regulate the Donlin mine. "We certainly we have laws in place. I believe if we need to strengthen those laws, then let’s strengthen those laws," Walker said. Treadwell and Dunleavy will battle each other in the August primary for the Republican nomination. On the Democratic side, Begich remains unopposed. The winners will face Governor Walker in November.